A firm favourite with families, Dorset’s a county that’s all about contrasts. Breathtaking scenery, peaceful beaches and thrilling attractions combine to create a holiday destination with something for everyone, and some gorgeous pet friendly holiday cottages too. Whether you’re content to wander long lonely pathways with your dog bounding ahead, or you’re after an action-packed break the kids will love even more with their pet in tow…Dorset’s perfect. 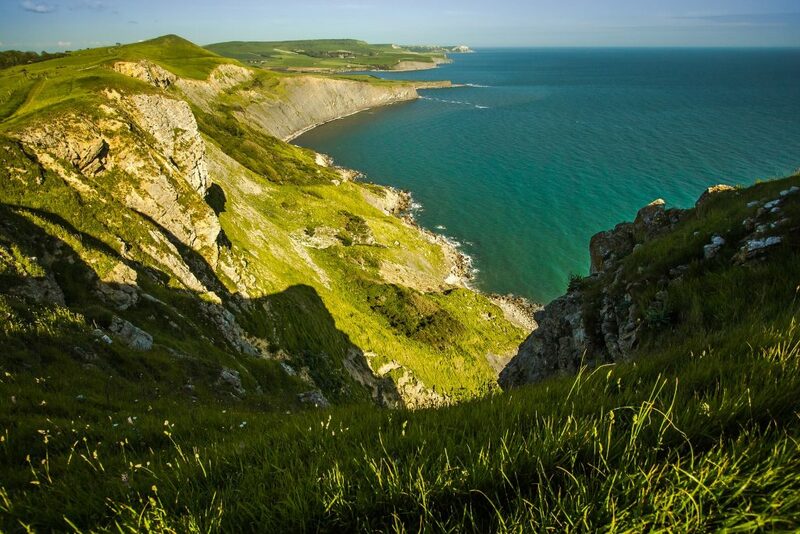 Purbeck Ridge is another good one, as you can enjoy the views across the countryside in one direction, and the coast in the other, and Pick up the South West Coast Path if you’re worried about straying from the beaten track. The choice of pet friendly places to eat in Dorset has something for every kind of owner and every kind of pooch. There’s Flirt Café Barn in Bournemouth, which welcomes dogs with a bowl of water and free treats, or the Greyhound Inn in Corfe (perfect for a pit stop if you’re visiting the castle). For the walkers, The Smugglers Inn at Osmington Mills sits right on the South West Coast Path, and dogs are welcome inside and out, so it’s a great stop off for that meal before you carry on with your hike. Or, for Thomas Hardy fans, the Under the Greenwood Tree café on the edge of Thorncombe Wood welcomes dogs as warmly as it does the two-legged folk. Now who doesn’t love a model village? 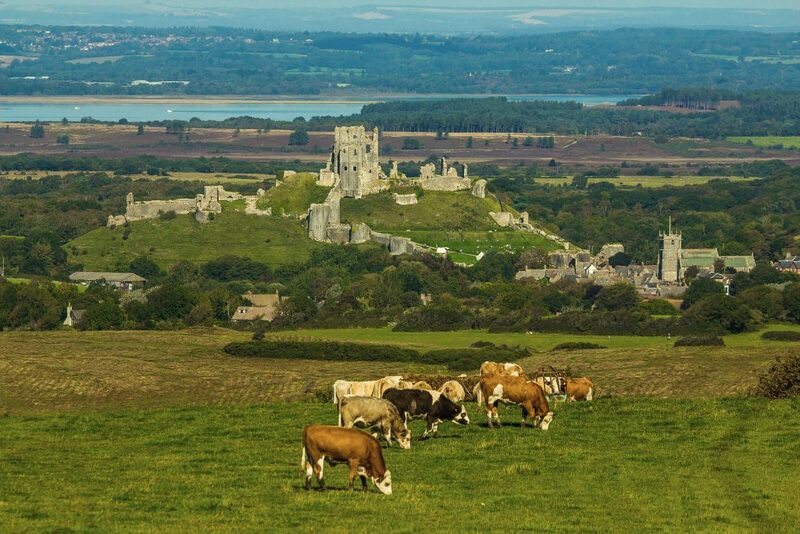 Luckily for you owners, the Corfe Castle Model Village is one of the many pet friendly Dorset days out, so you get to experience the village of Corfe as it looked in 1646 (in miniature of course). Dogs are welcome on leads throughout the park and on the terrace in the garden. Forde Abbey & Gardens is one of the county’s prettiest attractions, and dogs are welcome on a short lead. Upron Country Park and Portland Museum also welcome pets, and Upton Country Park’s just the place for a lazy picnic on a sunny day. Last but by no means least, we’ve picked out a few of the many pet friendly Dorset beaches. 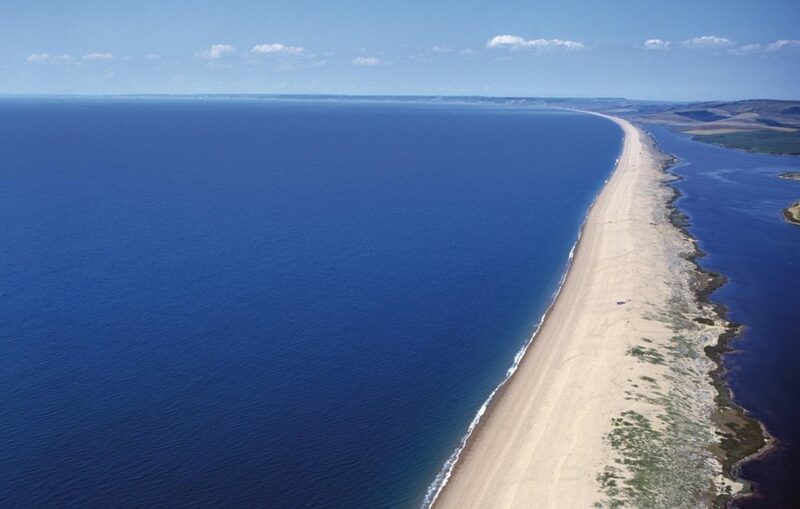 Chesil Beach stretches all the way from Portland to West Bay, rolling on for nearly 17 miles of striking views and shingle – and it’s dog friendly. Bournemouth’s one big stretch of blissful sandy beach, and Durley Chine welcomes dogs on designated sections throughout the year. Over in the picturesque resort of Lyme Regis, just along the coast, head to Monmouth Beach for that peaceful stroll with your dog.